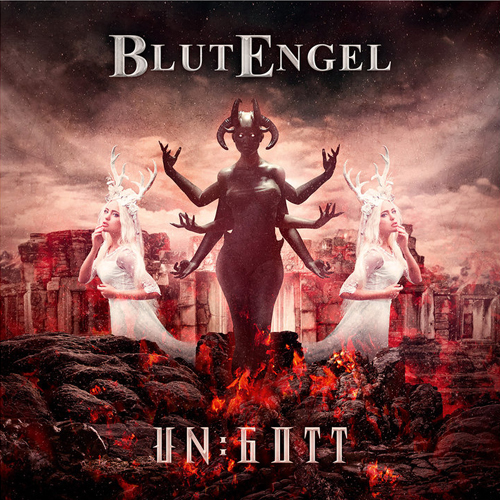 German darkwave act BlutEngel has announced its latest studio album, Un:Gott. Due for release on February 15, the album expands on the band’s traditional sound, amplifying it into a more intense and modern incarnation that “builds the bridge between past and future.” The album’s first single, “Vampire” was released on November 23, 2018, along with a music video directed by Dariusz Szermanowicz. Un:Gott will be released in multiple formats, including a single CD, a double CD with nine bonus remix tracks, and a deluxe double CD box set that includes five art prints, a handmade metal cross by Alchemy of London designed by front man Chris Pohl, and the Demons of the Past bonus CD of interpretations of tracks from Visage, The Eurythmics, Real Life, Billy Idol, Black, and Joy Division. In addition, BlutEngel will be embarking on the Un:Gott Tour 2019, beginning on the album’s release date of February 15 in Leipzig; a full listing of tour dates, including an appearance at the W-Fest in Belgium on August 17, can be found on the band’s website.